The match is open to puppies 3 to 6 months, 6 to 9 months, 9 to 12 months and adult dogs. Dogs who have major wins should only be entered for exhibition only. Puppies must be registered in the AKC, or eligible for registration in order to participate. There is an entry blank in the menu on the left, or if you enter at the match, we’ll have forms there. Our matches are relaxed and light-hearted, and yet they are held on our official show site, with regulation rings and mats, a nearly identical setting for the next day’s show. Entries are only $4 for pre-entry and $5 for day of match entry. If you are brand new to showing dogs, there are plenty of people on hand who are happy to offer help and advice. In addition, we’ll have some snacks and beverages for participants and spectators, so come on by and have some fun. 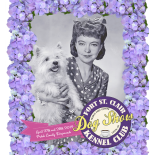 This entry was posted on April 16, 2018 by fortstclairkennelclub in American Kennel Club, Dog Shows, Eaton, Fort St. Clair Kennel Club, Purebred Dogs and tagged AKC Puppy Match, April puppy match Ohio, dog events in Ohio, how do I start showing my dog, match, practice shows for dogs, puppy match.